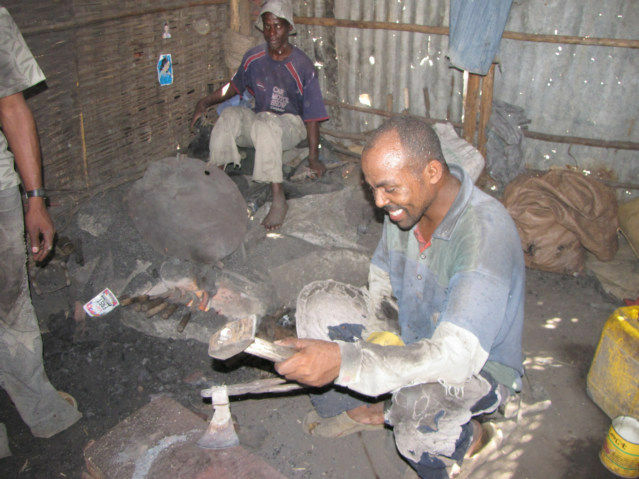 At the back of the Mojo, Ethiopia market is an area where men are heating metal, then pounding into various type of tools. 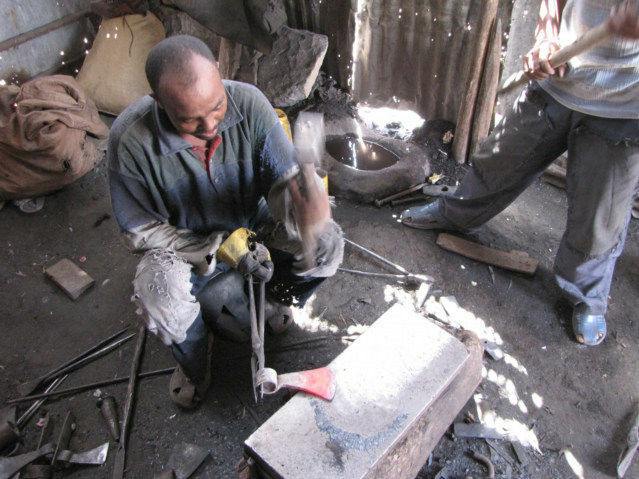 Man pounding metal into shapes on an anvil. I consider it one of my great travel experiences to watch men forge metal into tools, as I travel the world I often realize how little I know of the history of the world.